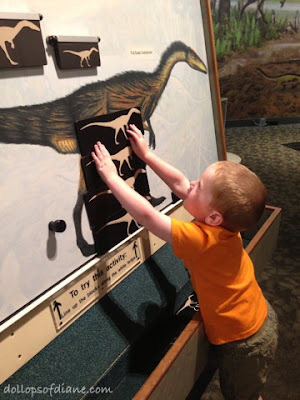 Dollops of Diane: Museum of Science: Giveaway! 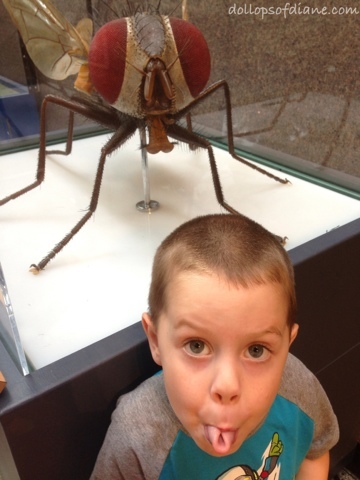 On Saturday we took a family trip to the Museum of Science in Boston. 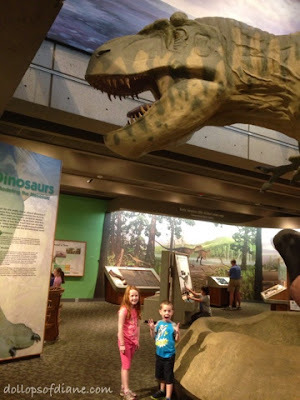 It was the kids first time there and I personally hadn't been there since I was a kid. We had a great time checking out all the exhibits. Well we had a great time until Daniel hit his internal wall at about two hours in and turned into a beast. I do look forward to the day that we can have a full day out without complete meltdowns but for now we just do the best we can! Aaaaaa, it's a huge dinosaur! What are you talking about? I'm totally well behaved. Want to have some fun of your own? One lucky Dollops reader is going to get the chance to visit the museum (hopefully tantrum free) with a family four pack to the Exhibit Halls and to the Omni Theatre. Enter using the Rafflecopter form below. Good luck!